Are you suffering from poor digestion, headaches, allergies, fatigue, mood swings or anxiety? All of these symptoms could be a result of having an imbalance in your intestinal function. 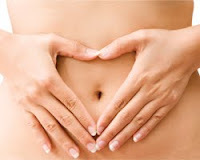 Healthy intestinal function is essential to your general health. Just like you put the time into having a balanced diet you should put the time into having balance internally. This means understanding the importance of good bacteria for your internal functions. Probiotics are beneficial bacteria that work with your internal systems, digestive and immune to protect you against a range of life affecting symptoms. Probiotics are live microorganisms that mirror the actions of good bacteria in the stomach. Along with essential fatty acids, probiotics work against illness and disease and can restore your energy levels, mood balance and overall health. While research into the importance of probiotics can be complex and hard to understand the outcome is simple. Probiotics affect every aspect of you health in some way and are essential to the healthy functioning in your body. Probiotics are found in many foods within a healthy diet and there are supplements to your diet that can be highly beneficial to getting the right kind of bacteria. 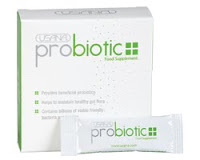 Check out USANA's high quality probiotic.